Last week I did something I’d never done before: entered Sopworth Village Hall! Sopworth is an idyllic little village tucked away on the edge of rural Wiltshire. A drive through its winding lanes is an estate agent’s dream. Beautiful honey-coloured Cotswold stone cottages and substantial detached houses are surrounded by flower-filled gardens, with the only background noise the sounds of nature. I’d been invited to speak to the Sopworth Ladies’ Circle about my life as a writer because the events organiser enjoyed the regular column I write for the local monthly magazine, the Tetbury Advertiser. (Tetbury is Sopworth’s nearest town.) This magazine, run by the Tetbury Lions, does great things to unite and inform the local community. For this it was rewarded last year with the Queen’s Award for Voluntary Service. I’m proud to support its work. I won’t say any more about the first point, because that information is elsewhere on this blog (see personal bio and career). Instead I’ll give an abridged version of what I said about the second point, and list those 10 top tips. Modern technology makes it much easier to write and edit manuscripts, whether you use bog-standard software such as Word, or invest in specialist software such as Scrivener (a fancy word-processing system developed especially for authors, complete with virtual corkboard for plotting) or Dragon (highly accurate voice recognition software that enables you to write much faster, no matter how high your typing speed). Technogical advances and trends also make it possible for authors to upload their books to publishing and distribution platforms such as Amazon, which means that authors can, from the comfort of their own homes, publish books that are almost immediately available to buy in print and in ebook form all over the world. The development of sophisticated ereaders that allow for the user to choose typeface style and size makes it possible to reach those who are “print disabled” whether through conditions such as dyslexia or bad eyesight, and those who are unable to hold printed books e.g. those whose hands are weakened by rheumatoid arthritis (e.g. me). The new era of digital audio books is increasing reach to the blind. New synchronising technology that connects ebooks with audio books, enabling you pick up on audio in the car where you left off reading your ebook at home, for example, creates more reading opportunities for readers – and therefore more readers for authors. The rise of modern self-publishing as a viable alternative liberates the would-be author from dependence on previously essential third parties – agents and big publishing houses. Self-publishing allows authors to retain creative control rather than having their views overruled by publishers’ marketeers. It also allows authors to make much more money per book sold – typically 70p in the £ of the cover price for an ebook, compared to 5p for trade-published books. Reading is still a very popular hobby, with all the debates about ebooks and ereaders having fuelled new conversations about reading, rather than killing book sales. Bookshops are thriving, despite some closures, with new bookshops becoming more dynamic and exciting places to be – real community centres buzzing with events, activities and coffee shops, rather than just being places to buy books. National programmes and charities continue to promote reading as a desirable activity to the general public, e.g. World Book Day, World Book Night, Readathon. If those two factors don’t deter you from entering the fray, here are my ten top tips to help you achieve your writing ambitions. Establish regular writing habits, ringfencing realistic timeslots to suit your life e.g. get up earlier, go to bed later, scribble in your lunch hour. Aim to write a set number of words every day – it doesn’t have to be huge, but a single daily page will add up to a substantial novel over a year. Don’t wait for the muse to strike – just allow your brain free rein, writing whatever comes into your head or to specific prompts (e.g. imagine a back story to a newspaper article, or turn the radio on at random and write about the first thing you hear). You’ll soon realise you have got plenty of ideas and inspiration after all. 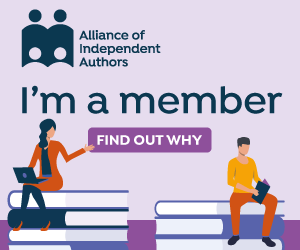 Join encouraging groups such as ALLi to reassure yourself you’re not alone and to gain moral and practical support (conversely, leave any writers’ groups that bring you down). Take advantage of technology to increase your productivity – Scrivener (writing software) and Dragon (speech recognition) are excellent investments of your money and the time it takes to learn to use them well. Expect to edit – a lot. No-one writes perfect copy first time. Rough gemstones need lots of polishing to make them shine. Delegate what you can’t do yourself, including different aspects of editing. Read good advice books about writing – whichever ones resonate with you. My favourite is Dorothea Brande’s Becoming a Writer. Read widely in general – your writing will improve by osmotic or subliminal learning. Make a public commitment to your writing goals and they’ll seem much more real and worth striving for. Thanks again to Sopworth Ladies’ Circle for making me so welcome. I’m hoping they will take up the invitation I gave them to attend the next free Hawkesbury Upton Literature Festival next April! I always enjoy the opportunity to talk to groups like this – invitations are always welcome via my contact page. A full programme of my events may be found on my Events page.